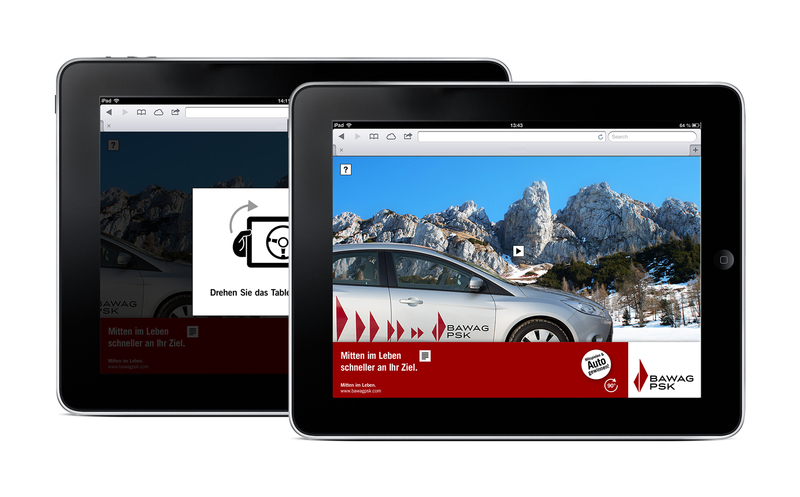 BAWAG needed an engaging tablet complement for the launch of its '0% Finanzierung' leasing campaign. 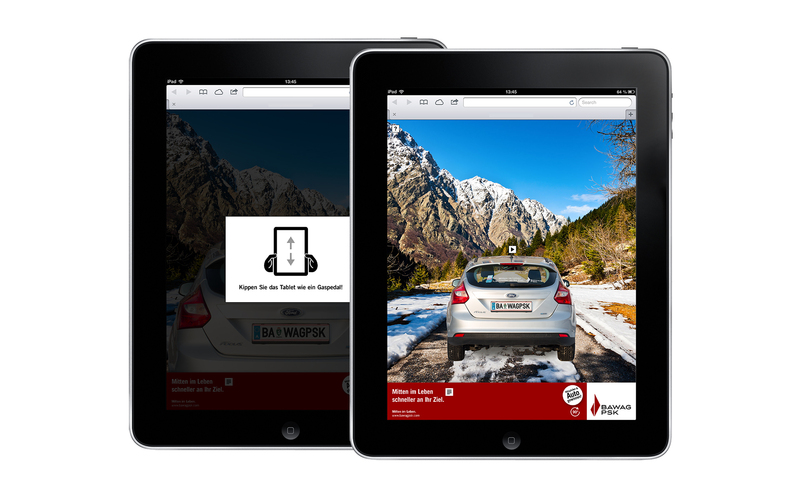 The idea of a 'driving' interface was a natural fit, giving users the chance to play at turning the wheel and pressing the gas pedal of the virtual car in preparation for getting a leasing deal on a car of their own. Video, a sweepstakes game and feedback-form elements were also incorporated to strengthen the message and make contact with the bank easy and immediate.